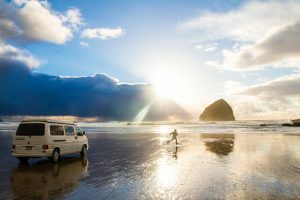 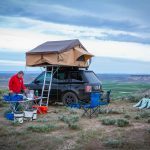 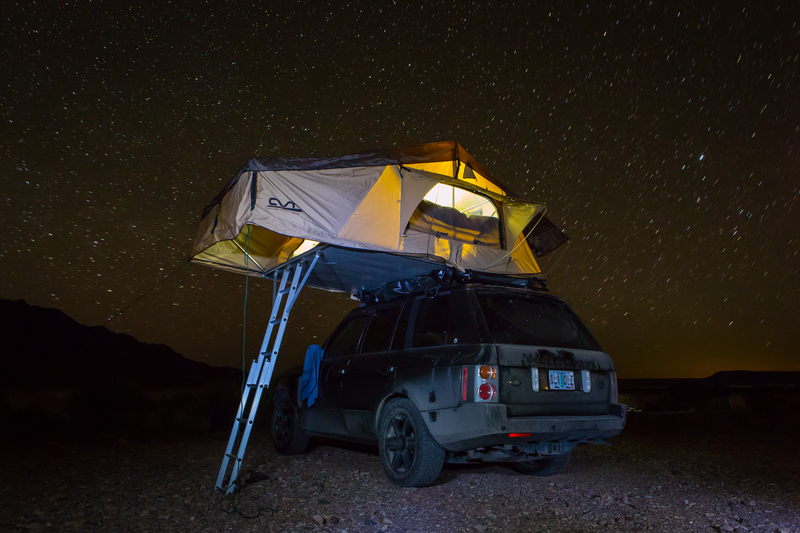 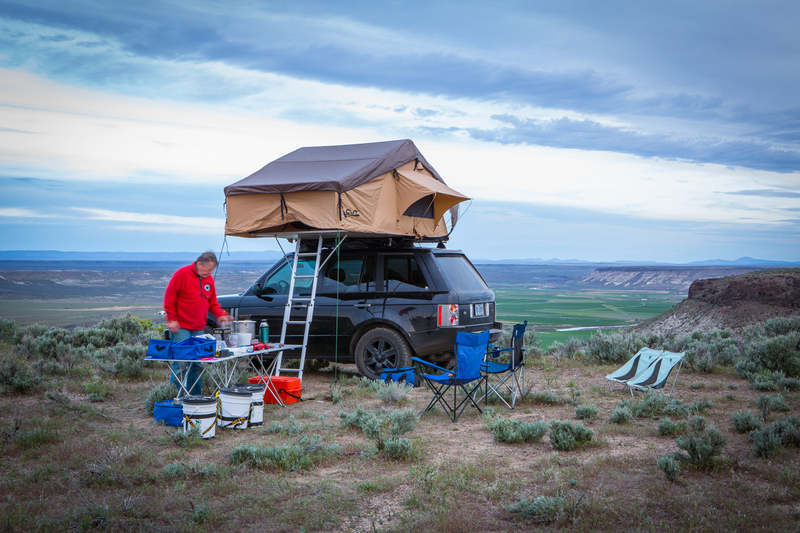 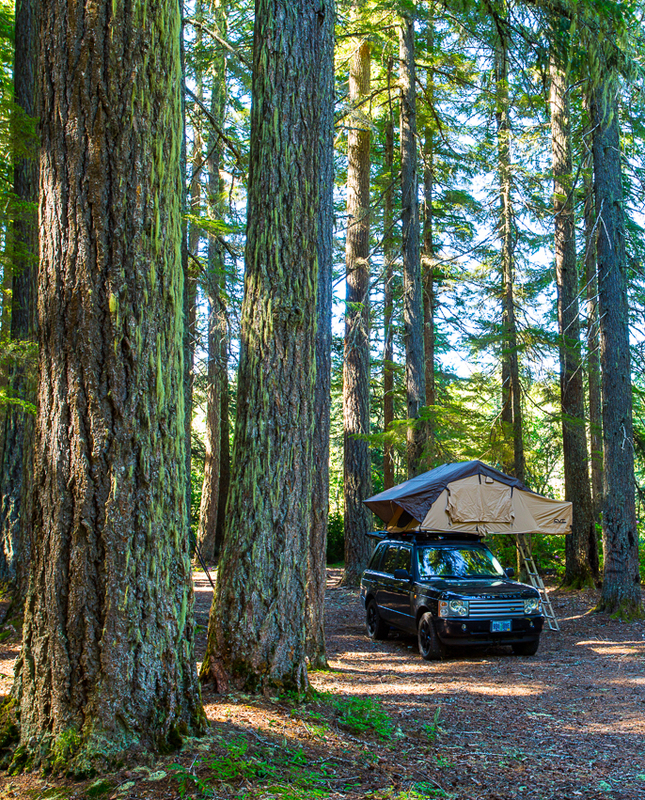 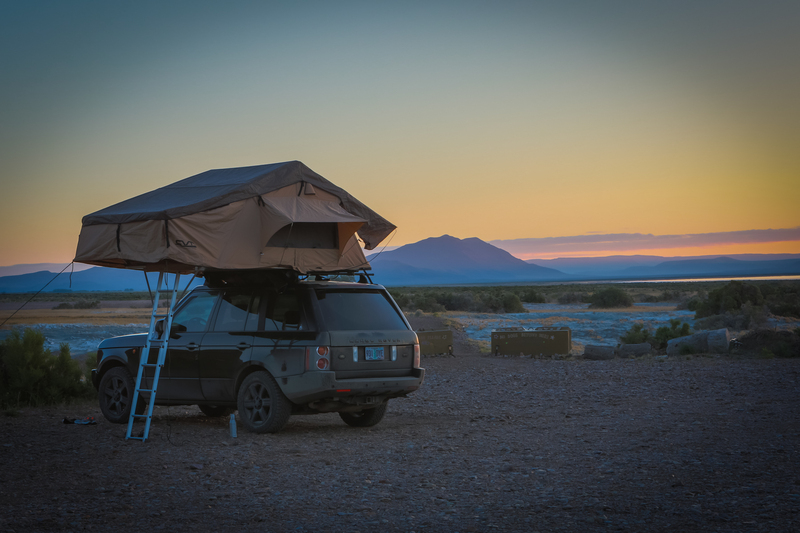 The Land Rover Camper with roof top tent is the perfect option for those wanting a rugged self contained vehicle to get them into secluded/off the beaten path camping spots or to just be the envy of those at the campground. 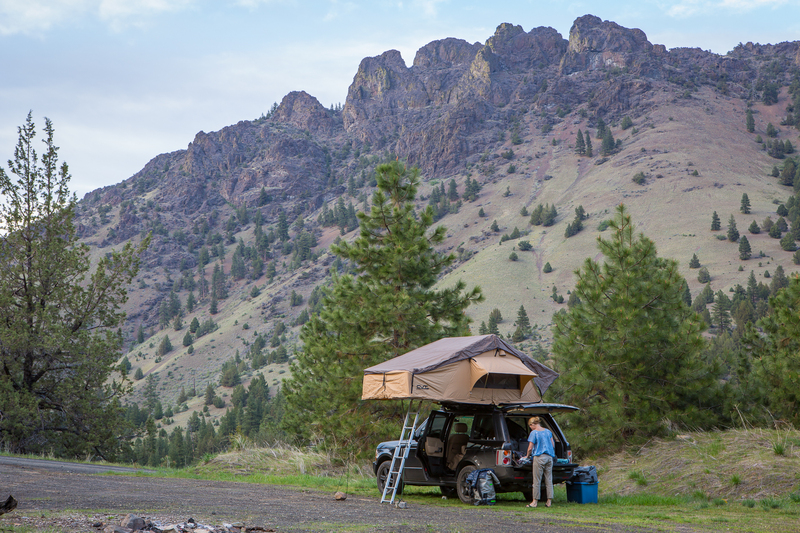 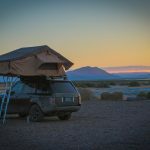 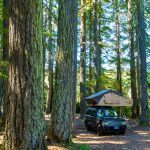 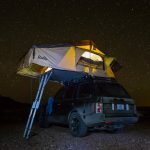 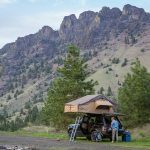 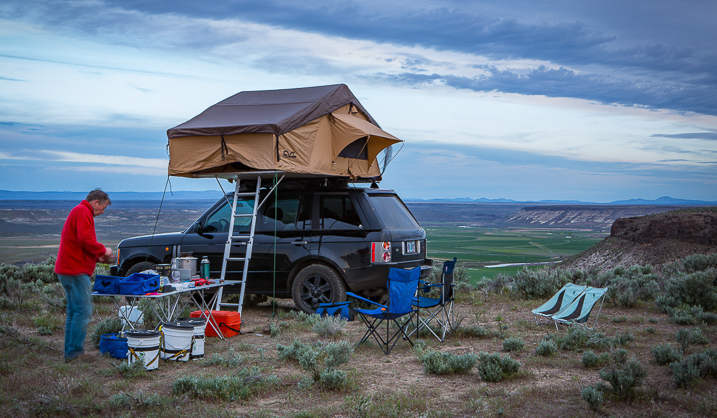 The weather proof roof top tent easily sets up in minutes and gets you up off the ground away from mud, rocks, dirt and critters. 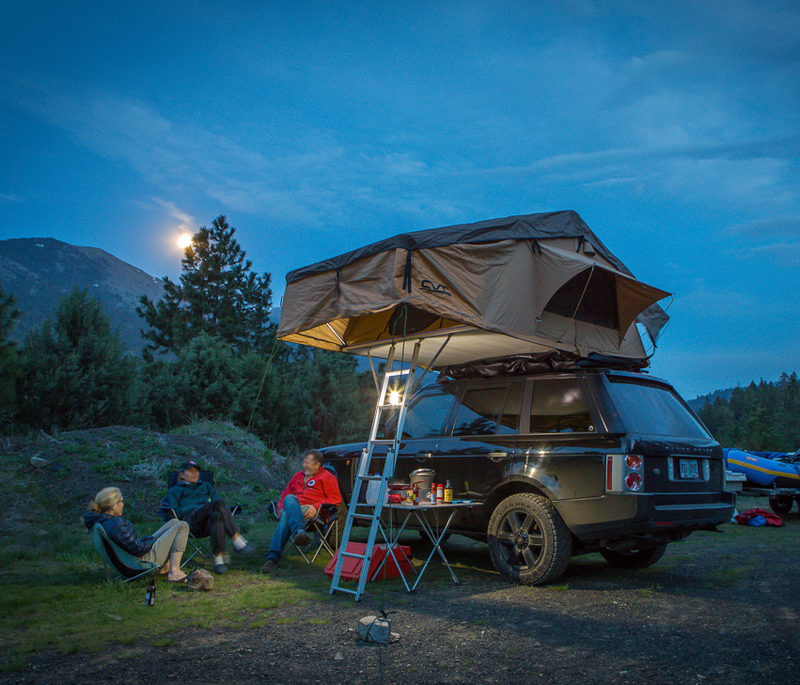 Our fleet of modern Land Rovers come complete with all the necessary amenities that you will need for your road trip experience. 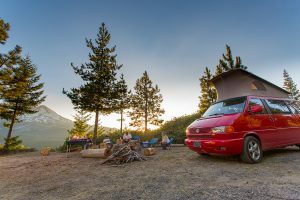 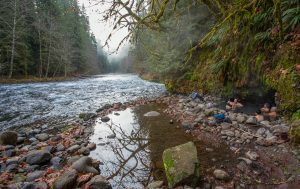 We include a full camp kitchen package with each vehicle containing a roll up camp table, cooler, chairs, propane stove, water jug and kitchen box with pots, pans, cutlery and everything you need to cook a meal in the woods. 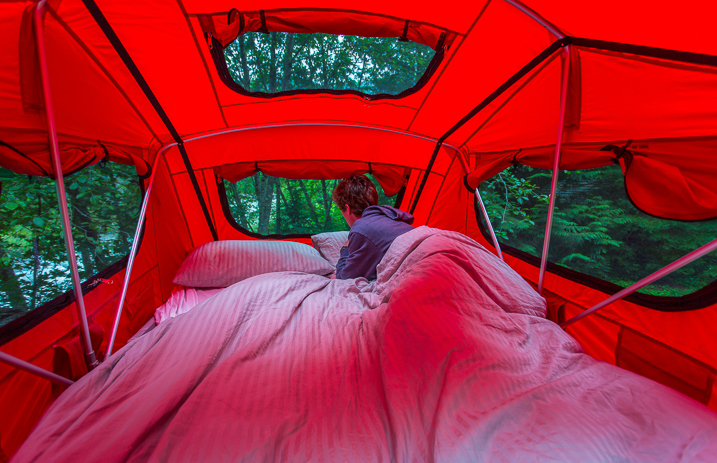 The tent is large enough to sleep 2+ comfortably on a high density mattress. 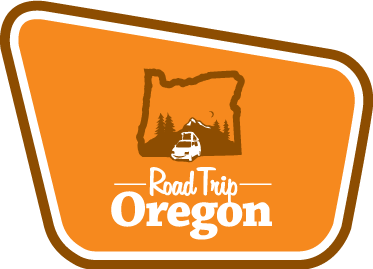 The vehicle is stocked with sheets, down blankets, down pillows and towels.